Category: Books, Self Help & Personal Development Tags: Gift, inspiration, mindfulness, personal development, self-help, happiness. Effortless Inspiration for a Happier Life. Life transpires in the present. Yet so often we let the present slip away, wasting our precious seconds worrying about the future or ruminating about what has passed. Instead, learning to live in the moment, also known as mindfulness, can have immense power to stop us focusing so much on doing and thinking and instead focus on being. Perfect either as a gift or self-purchase, this lovely little book features 18 inspirational quotes on living in the moment, each one followed by an insightful explanation, a thought-provoking activity or question, and a memorable affirmation. This inspires readers to think about mindfulness in a fresh way as well as encouraging them to incorporate it into their everyday lives. Research has shown that mindful people tend to feel more relaxed, less distracted, more balanced and decisive, with increased energy, self-esteem and productivity, as well as having stronger relationships and an enhanced immune system. 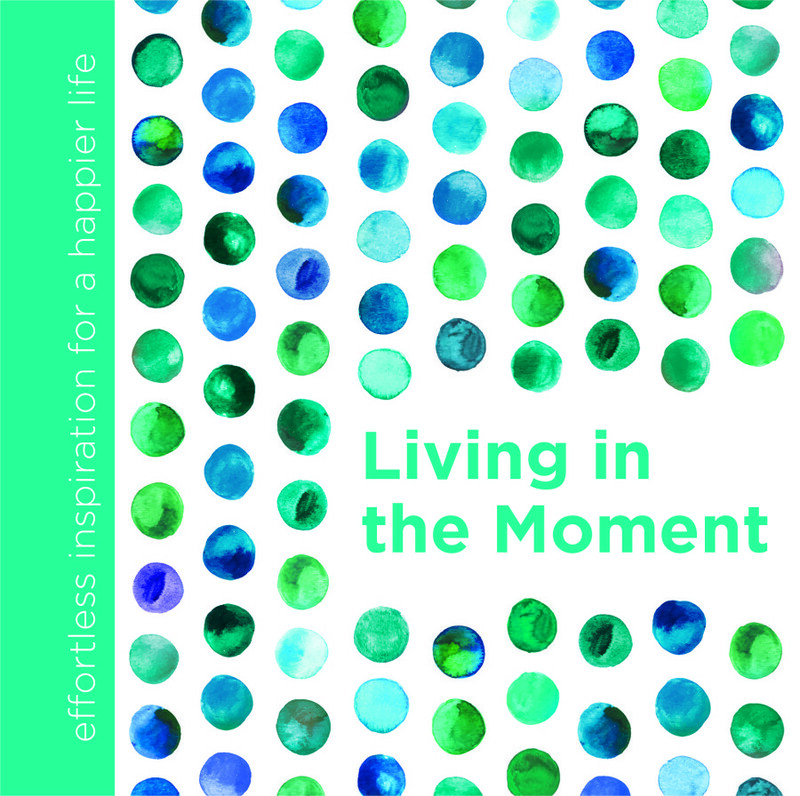 With its appealing design, uplifting content and friendly tone, this discerning little book on Living in the Moment provides beautiful, bite-sized inspiration for people around the world to live in the now, with increased awareness, allowing them to really savour each of life’s precious moments.